After several years of inspecting and discussing several steam locomotive wheel lathes that were available in the United States, earlier this year the decision was made to purchase an 80” Putnam lathe from the Louisiana Steam Train Association. 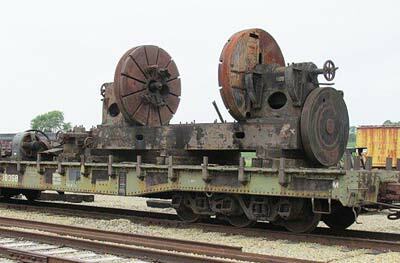 Prior its donation to LSTA, this lathe was formally owned by the New Orleans Public Belt Railroad. This past May a crew from the AoSRH shops traveled to New Orleans to disassemble and load the Putnam onto highway trucks for a long trip to Sugarcreek, Ohio. This lathe was our first choice because of its dual capabilities of turning locomotive axle journals in addition to truing locomotive driver tire profiles. This will eliminate AoSRH from having to purchase a separate machine for just axle work. Currently, the lathe is loaded on a flatcar and stored inside a roundhouse stall, protected from weather elements while awaiting restoration. We hope to start the rebuild this winter. As our schedule allows, AoSRH forces have been restoring and rebuilding an American-built, Niles quartering machine that we acquired in England last year. Restoration will include renewal of all electrical components, wiring and operator controls. Because they were of a different voltage from when in service on PKP (the Polish Railways) and were totally worn out, we replaced the machine’s 65-year old electric motors. The two, cutting-head assemblies are being worked on at present, and require total disassembly for cleaning and renewal of all seals and roller bearings. The original bearings actually looked pretty usable, but the decision to replace them all seemed to be the best direction to go, especially since we plan to do the best job possible when working on steam locomotive crankpins. The new ash hoist at our existing ash pit is about completed, lacking only some small detail components and final electric wiring. Catwalks and decking will be the next order of business within the next few weeks. We performed several test runs of the skip car to confirm its proper operation and dumping capabilities. Our homemade hoist is based on a Roberts & Schaffer design using original R&S drawings, as well as drawings supplied to us by our friends at Henry Ford’s Greenfield Village Railroad. Many thanks for their support assisting us to design our ash hoist. 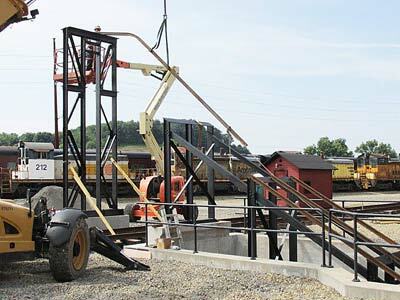 Construction of a four hundred-foot long track spur and turnout to set railcars beneath the hoist for ash loading is just about completed, as well. 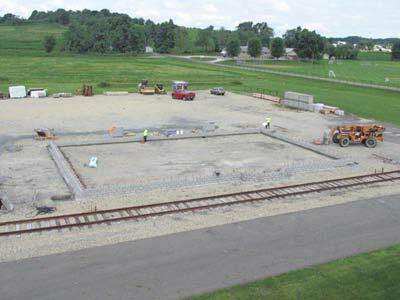 Another small structure added to the Age of Steam Roundhouse complex was acquired recently from the Pennsylvania Trolley Museum (PTM) in Washington, Pa. This prefabricated metal building came originally from the Montour Railroad in Cowden, Pa., where it had been used as a maintenance-of-way tool house and motor car storage shed. This structure was dismantled and moved to PTM during the early 1980’s, and used there until earlier this year when it was again dismantled and moved to our AoSRH facility in Sugarcreek, Ohio. 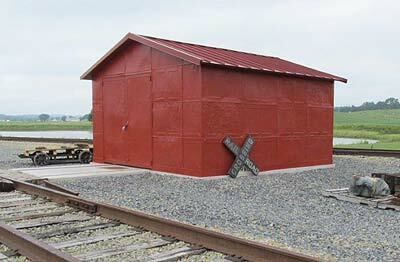 This 70-year old shed has since been reconditioned, repainted and re-assembled on a new concrete pad to once again house track tools and a railroad motor car. We welcomed this great example of 1940’s-era railroading as a perfect addition to our facility. We have just broken ground on a new Administration/General Office building—complete with ADA-approved public restrooms–that will sit adjacent to our roundhouse. 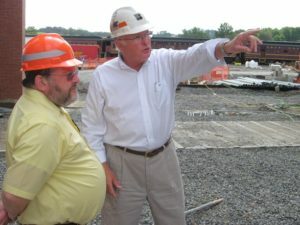 Our plan is to have the building and its exterior grounds completed by late fall 2014, leaving interior work to be accomplished this coming winter. Our new Administration/General Office building should be ready for business by the spring of 2015. More details about this new and welcome addition will be forthcoming at a later date. 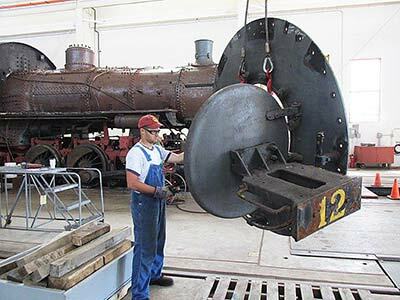 Even though much of our time has been spent restoring old buildings and re-assembling and installing machine tools, locomotive repairs progressed in the back shop. Currently, our ex-LS&I 2-8-0 #33 continues to receive much-needed firebox repairs, including renewal of the locomotive’s entire crown sheet and door sheet, and the manufacture of two, new thermic syphons. Some of #33’s appliances (air compressor, BL feedwater pump and other small parts) have received inspections and light repairs, and will be reinstalled to this 2-8-0 when the firebox work has been completed. Some minor maintenance to the running gear is also occurring. 0-6-0 #12 is in the shop. Ex-Morehead & North Fork 0-6-0 steamer #12 is in the back shop receiving the Federal Railroad Administration’s 1472-day inspection. This requires that the entire boiler be stripped inside and out for an ultra-sound testing of the boiler shell to determine minimum thickness of the boiler steel. We have been removing #12’s 300, 2-1/2-inch boiler tubes for this ultra-sound testing as we progress deeper into the bigger repairs that will be required to this 1905 Alco Pittsburg (no “h”) Works 0-6-0. Several items are rusted so badly that this sad little engine needs new wood patterns made for recasting replacement parts in an iron foundry, including the smokestack, smokestack base, petticoat pipe and exhaust nozzle. The tender body will be newly fabricated because of the severely deteriorated condition that it is in. However, on a positive note, removal of the rotted tender cistern and coal bunker will allow easier reconditioning of the tender’s frame and wood decking. With a lot of hard work and a myriad of newly refurbished parts and appliances, #12 will be rebuilt back into serviceable condition. 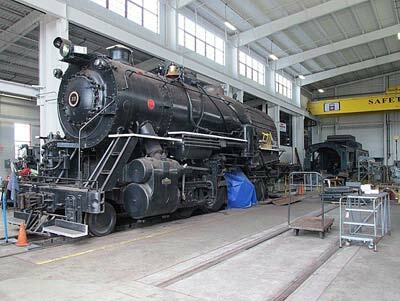 Locomotive #1293 (our ex-Canadian Pacific 4-6-2) received and passed its annual FRA inspection with flying colors. It has been fired up a few times this year, primarily for some small, private events (Happy Birthday, Jerry!). This fine locomotive is always a welcome sight to see under steam. Some of AoSRH’s Alco diesels have received light repairs, and parts have been ordered to get a few more of our diesels back into service. 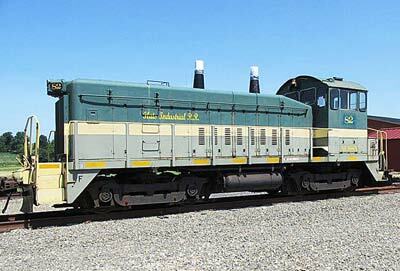 This year we purchased an EMD model SW9 from the Flats Industrial Railroad in Cleveland, Ohio. This engine has been returned to operational condition, and will be used as the AoSRH shop switcher. 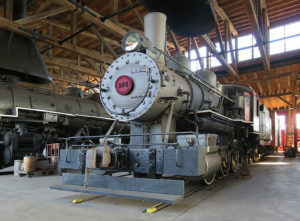 It was purchased brand new in 1953 by the coal-hauling Montour RR, where it carried road number 82. Montour’s tracks have been torn up, and much of the property has been converted into a bike and hiking path now known as the Montour Trail. 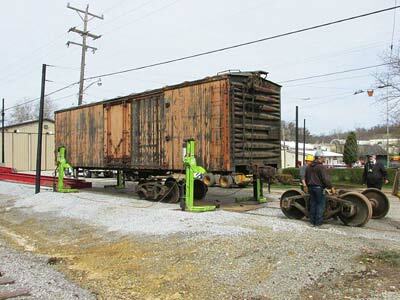 Finally, during the early part of 2014 a 1931, wooden, insulated box car formerly used by the Libby’s Company (road number URTX 26571) was acquired from the Pennsylvania Trolley Museum and moved by highway truck to the AoSRH. This is a nice example of wood carbody construction on top of a steel underframe that will display nicely here. Plans are to continue some wood repairs and to apply fresh paint, thus taking its appearance back to its glory days of usage for future generations to enjoy. We will gladly share more Roundhouse Updates in the months to come. 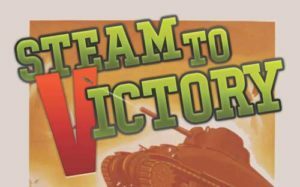 We also appreciate the continuing flow of positive appreciation e-mails that we receive through our Age of Steam Roundhouse website. The AoSRH is honored to have such a great group of followers with which to share our updates. We thank one and all for your support. Finally, AoSRH cannot give enough thanks to all our Armed Forces and Veterans—both past and present—for their service and sacrifices that they have made to allow all of us to enjoy this great United States of America! Please thank a veteran and his family when you see them.